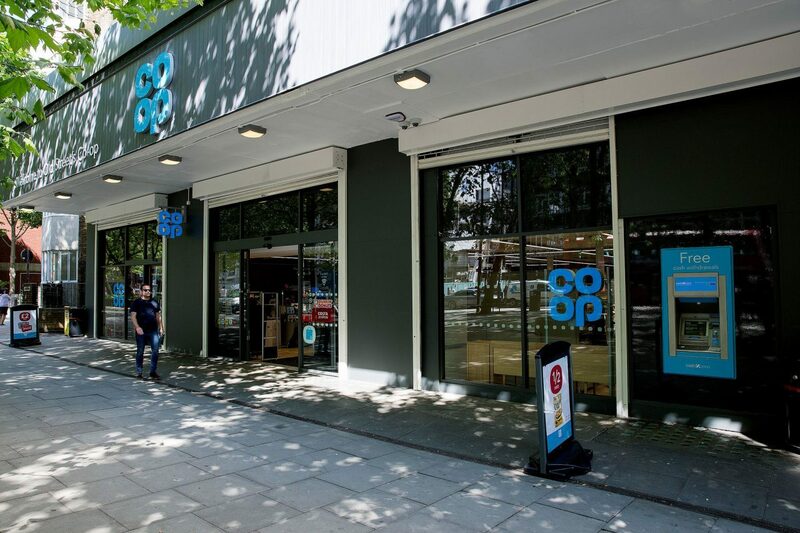 The Co-op and Novamont have announced a collaboration aimed at supplying the British retailer with a new kind of compostable carrier bag, as an alternative to traditional non-biodegradable and non-compostable plastic bag. 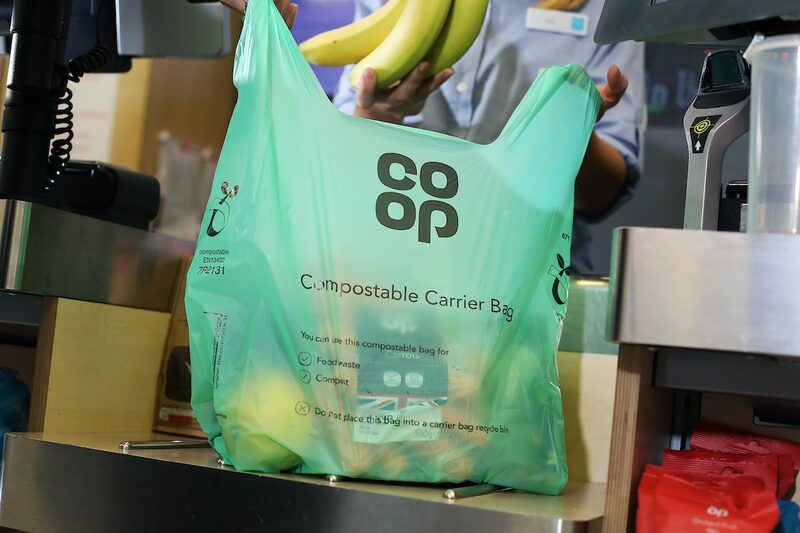 Lightweight compostable carrier bags, which can be used to carry shopping home and then have a secondary use as a food waste caddy liners, will be rolled out to almost 1,400 Co-op food stores. 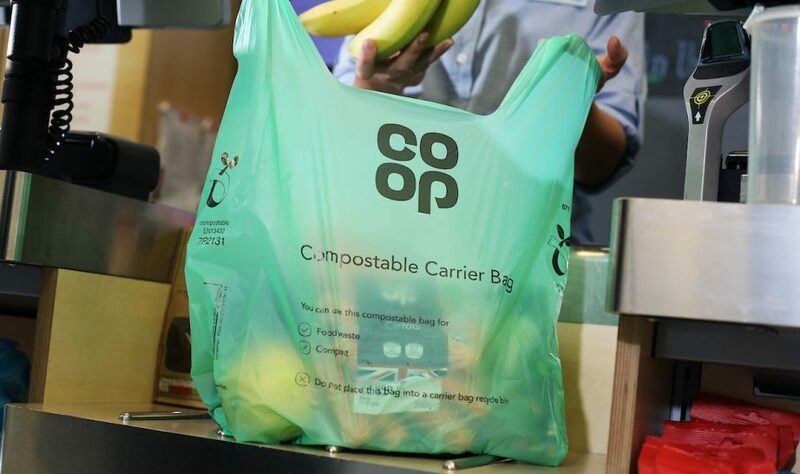 The new bags will be of the same size, strength and price (5p) as their traditional single use plastic counterparts. 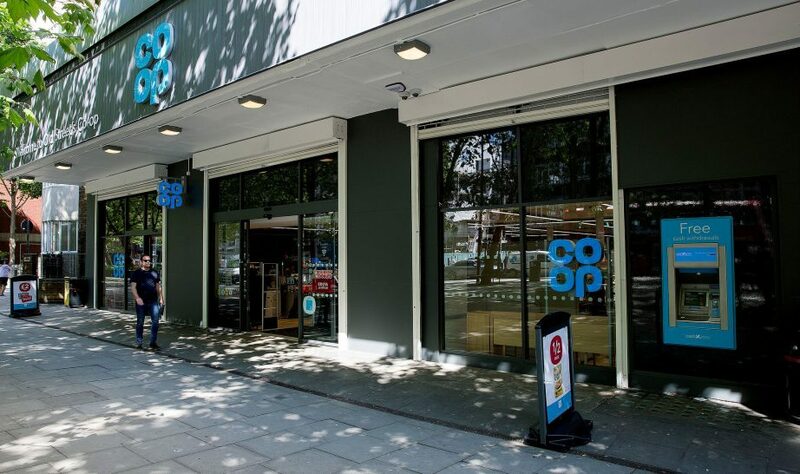 Co-op will be speaking with the remaining local councils with support from the Novamont UK based waste market specialist to seek to extend coverage to more stores. This is a key objective to help support increased consumer participation in local authority food waste recycling schemes. Novamont will also provide consumer communications support based on its experience with other major retailers in Europe who use mater-bi compostable carrier and produce bags. 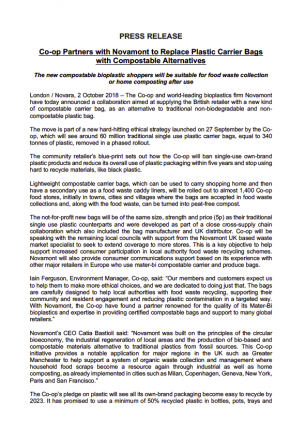 “This Co-op initiative provides a notable application for major regions in the UK such as Greater Manchester to help support a system of organic waste collection and management where household food scraps become a resource again through industrial as well as home composting, as already implemented in cities such as Milan, Copenhagen, Geneva, New York, Paris and San Francisco” said the Novamont CEO, Catia Bastioli.